The Girl in the Painting is the fourth in the Nighthawk series. It could be read as a standalone but I think it would be best to read the others so you can understand more about the main characters Gideon and Abi. Gideon is the lead singer with hugely successful band NightHawk. The band have recently released a new album and are off to America for some promotion work. His wife Abi is worried about the friends he is staying with, as she is convinced that Sonia is attracted to Gideon. Meanwhile Natasha, their daughter, finds a mysterious painting in Abi’s father’s attic painted, it seems, by a rather famous artist. Who is the beautiful girl in the painting and how is she connected to the family? Abi and Natasha set off to solve this mystery. I enjoyed meeting up with Abi and Gideon and their family again. Despite being such a strong couple their marriage does get rather tested in all the Nighthawk books. I can only imagine how difficult it must be to be married to a famous rock star and to have to deal with women throwing themselves at him all the time. Even though Abi and Gideon are sure of their love for each other, which has already weathered many storms, there must be a sneaking worry on Abi’s part that one day Gideon won’t be able to resist. 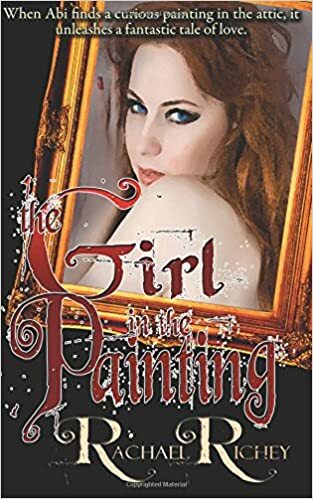 I particularly enjoyed the historical aspect of this story as Abi began to find out about the girl who features in the painting. As soon as Abi realised who the girl might be I was as intrigued as she was to find out why this girl had found herself in Paris and how she had been painted by such a famous artist. And why had the painting been languishing in an attic for years? I was just as surprised as Abi and Natasha with what they discovered about the subject of the painting! Abi herself has begun painting again too and it was good to see her start to re-discover her confidence in her own abilities. One thing is for sure, Abi and Gideon’s life is never dull and they do have such interesting ancestors with so many secrets for them to uncover! Rachael Richey is skilled at moving between the three main plotlines in this book, leaving the reader in suspense when moving from one story to the other, before bringing them all to a conclusion in a very satisfying ending.